What I talked about on Sound Opinions. Buy the album here. This week, I got a chance to call into Sound Opinions, a public radio show produced by WBEZ in Chicago and featuring Jim DeRogatis and Greg Kot, two rock critics, who review popular music Siskel-and-Ebert style, interview artists, or deejay themed shows about the history of rock music or other special topics. For those who have not tried calling into radio shows, what follows is a behind-the-scenes take on what goes into the final on-the-air 2-minute radio spot. Then, I'll write what I should have said on the show. On Wednesday, Sept. 7, a week-and-a-half before the show would go up, I saw a tweet from Sound Opinions asking for emails if someone had a band or album we think was overlooked this year. I emailed in with my selection, Fictionist’s Free Sprit EP, and got a response back in a few days from the show’s production assistant, Alex Claiborne, who asked to set up a pre-interview for Monday, Sept. 12. She called at the appointed time and asked me to just talk about my pick; I think she was simply judging whether I had something to say and would sound good on radio. Even though it was a pre-interview, I was extremely nervous and had to stop several times and calm myself down. I must have sounded at least a little interesting, however, because after we talked, she set up a time to do the real interview with Jim and Greg the following Wednesday, Sept 14. After my nervous pre-interview, I realized I needed to be a little more prepared for the real thing, so I wrote down some things to say. When the day came, Alex called a few minutes earlier than expected (I was ready), and then put me on the line with Jim and Greg, who asked me about my breakfast (it was noon their time but 7am in Hawaii) to check my levels and complained that I should be “climbing a palm tree to pick a pineapple” instead of eating granola. Then the tape was rolling. Jim and Greg proceeded to ask me questions about my pick of a musical “buried treasure.” I didn’t have good answers to some of their questions. I also ignored that the song I was talking about wasn’t new music at the release of the EP—it was recycled from Fictionist’s recent eponymous album (reviewed by me here) and packaged with some new music to drum up more publicity. At some point, Jim and Greg played at bit of the track, which I heard tinnily through the phone. After some more chatting about the music, they asked me to repeat something I had said when apparently my cell phone was not coming through. Then Jim and Greg passed me back to Alex, who told me she’d send me the link when the show was up. The whole phone call took a quick 7 minutes. I then had the rest of the day to rethink every part of the conversation, coming up with what I should have said. Which I did—by 5pm, I had produced a much better version of the conversation in my head. My favorite track from the EP is the title track, "Free Spirit." It's a well put together, exciting track with catchy melodies. The band does a great job of varying the music when each section of music comes back; it's always at least slightly different. Sometimes, the music returns very different—I just realized this week that the ethereal, clock-like outro comes from the pre-chorus. There's an earnestness and emotion in the main singer's voice as he sings about giving his partner a choice to leave the relationship, a theme that is not common in pop music. What really gets me is how the verse starts and stops but then the chorus picks up and rockets forward, helped immensely by the percussion. I get goosebumps every time. 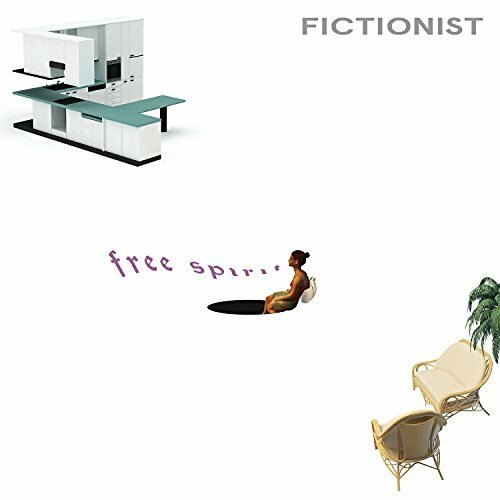 As seen in “Free Spirit,” I think Fictionist’s songwriting is one their strengths. Each song is tightly-knit and captivating. Robbie Connolly and Stuart Maxfield have a kind of Lennon-and-McCartney thing going, collaborating and sharing songwriting credits while also trading off vocals. Also like the Beatles, the other band members write an occasional song. Not many bands have that much talent. I haven’t seen them live since they changed their name to Fictionist, and if I wasn’t living in the middle of the Pacific Ocean, I would try and go to their concerts. You can see some live studio performances on their website that are pretty exciting. Of course, they recently lost their keyboard player, so it is unclear to me how they are handling performing these songs without him; I’m curious how they are getting around that. Hopefully, I’ll get the chance to find out someday. Meanwhile, I hope they do start playing festivals! They deserve it.